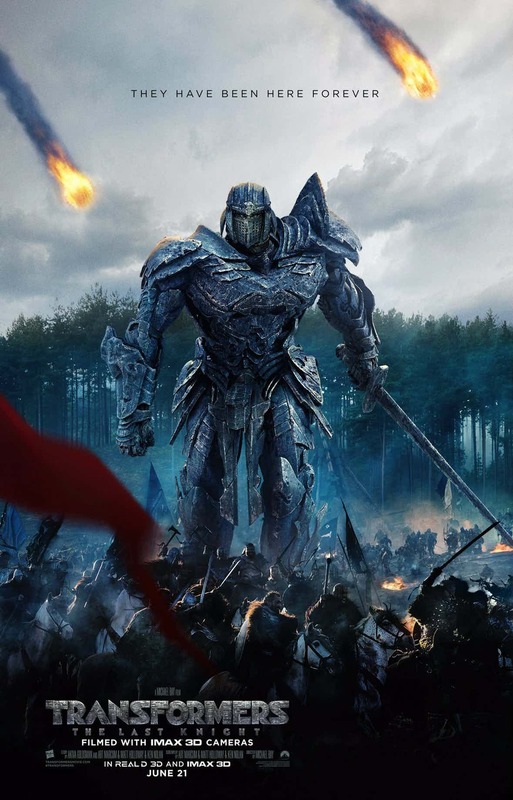 Nipping at the heels of this morning’s history lesson, in which Anthony Hopkins’ wise old professor Sir Edmund Burton cast light on the secret history of Transformers, Paramount has conjured up the latest and suitably medieval poster for Transformers: The Last Knight. Tethered to the tagline “they have been here forever” – a feeling that many harbor toward the entire Transformers franchise, never mind the actual robots in disguise – it’s a one-sheet that simply demands your attention. Front and center is one of the film’s old-school Transformers. Clad in medieval armor, the ash-grey mech towers over a raging battle, which will surely involve Liam Garrigan’s King Arthur in some capacity. It also begs the question: how can medieval warriors expect to topple a Transformer with an arsenal limited to swords and shields? Trebuchets ought to come in handy, but we’re intrigued to find out how Michael Bay and his VFX team handle the journey back to the Middle Ages. Because in the absence of Optimus Prime, it’s left to Bumblebee and his human allies – namely Mark Wahlberg’s Cade Yeager and Isabela Moner’s street-smart newcomer, Izabella – to track down an ancient artifact capable of restoring Cybertron to its former glory. Brainwashed by the invading Unicron, it is actually Prime that will become a temporary (?) enemy to Bumblebee and the rest of the crew, and those show-stopping trailers for The Last Knight have teed up the gladiatorial battle that awaits in little over a month’s time. Transformers: The Last Knight is expected to arrive a little earlier than planned, after Paramount bumped its blockbuster sequel up by two days. That means Michael Bay’s tentpole will be with us on June 21st, but can it revitalize the Transformers franchise in the way Paramount hopes? Time will tell.